It has been suggested that this article be merged with Lupah Sug. (Discuss) Proposed since December 2018. The Sultanate of Sulu (Tausūg: Kasultanan sin Sūg, Jawi: کسلطانن سولو دار الإسلام, Malay: Kesultanan Sulu, Arabic: سلطنة سولك‎) was a Muslim state[note 1] that ruled the islands in the Sulu Archipelago, parts of Mindanao, certain portions of Palawan and north-eastern Borneo (present-day the certain parts of Sabah and North Kalimantan). The sultanate was founded on 17 November 1405. [note 2] by a Johore-born explorer and religious scholar Sharif ul-Hashim. Paduka Mahasari Maulana al Sultan Sharif ul-Hashim became his full regnal name, Sharif-ul Hashim is his abbreviated name. He settled in Buansa, Sulu. After the marriage of Abu Bakr and a local dayang-dayang (princess) Paramisuli, he founded the sultanate. The Sultanate gained its independence from the Bruneian Empire in 1578. At its peak, it stretched over the islands that bordered the western peninsula of Mindanao in the east to Palawan in the north. It also covers the area in northeastern side of Borneo, stretching from Marudu Bay, to Tepian Durian (in present-day Kalimantan). While another source stated the area stretching from Kimanis Bay which also overlaps with the boundaries of the Bruneian Sultanate. Due to the arrival of western powers such as the Spanish, British, Dutch, French, German and American, the Sultan thalassocracy and sovereign political powers were relinquished by 1915 through an agreement that was signed with the last colonialist, the United States. In 1962, Philippine Government under the leadership of President Diosdado Macapagal officially recognised the continued existence of the Sultanate of Sulu. On 24 May 1974, Sultan Mohammed Mahakuttah Kiram (reigned 1974–1986), was the last officially recognized Sulu Sultan in the Philippines, having been recognized by President Ferdinand Marcos. On 15 August 1974 Sultan Moh. Mahakuttah A. Kiram submitted the organisational structure of the Sultanate of Sulu to the President of Philippines. The above named structure confirmed that Muedzul Lail Tan Kiram was the Raja Muda (Crown Prince) of Sulu. Under Rodrigo Duterte's administration, calls to finally settle the dispute of who is the officially recognized Sultan of Sulu via government recognition through an Executive Order was voiced out by various parties[who?] involved with the issue. The calls have yet to be dealt with by the government since 2017,[according to whom?] along with a 2016 electoral promise to retake Eastern Sabah. In 2016, for the first time in history, the five contesting sultans of Sulu, Sultan Ibrahim Bahjin, Sultan Muizuddin Jainal Bahjin, Sultan Muedzul-Lail Tan Kiram, Sultan Mohammad Venizar Julkarnain Jainal Abirin, and Sultan Phugdalun Kiram signed a covenant in an unprecedented move aimed at consolidating and strengthening the sultanate's unity. The ceremony was held in Zamboanga City and was attended by hundreds of supporters and members of the different Royal Houses of the Sultanate of Sulu, and religious leaders and representatives of various sectors, including those from mainland Mindanao. In May 9, 2018, all five sultans of the sultanate and their supporters converged again in Zamboanga City in support of the establishment of the Zambasulta Federal State through a federal form of Philippine government. The event was officially declared as the Bangsa Sug Consensus. The present area of the Sultanate of Sulu was once under the influence of the Bruneian Empire before it gained its own independence in 1578. Later, the earliest known settlement in this areas soon to be occupied by the sultanate who was in Maimbung, Jolo. During these times, Sulu was called Lupah Sug. The Principality of Maimbung, populated by Buranun people (or Budanon, literally means "mountain-dwellers"), was first ruled by a certain rajah who assumed the title Rajah Sipad the Older. According to Majul, the origins of the title rajah sipad originated from the Hindu sri pada, which symbolises authority. The Principality was instituted and governed using the system of rajahs. Sipad the Older was succeeded by Sipad the Younger. Some Chams who migrated to Sulu were called Orang Dampuan. The Champa Civilization and the port-kingdom of Sulu enaged in commerce with each other which resulted in merchant Chams settling in Sulu where they were known as Orang Dampuan from the 10th-13th centuries. The Orang Dampuan were slaughtered by envious native Sulu Buranuns due to the wealth of the Orang Dampuan. The Buranun were then subjected to retaliatory slaughter by the Orang Dampuan. Harmonious commerce between Sulu and the Orang Dampuan was later restored. The Yakans were descendants of the Taguima-based Orang Dampuan who came to Sulu from Champa. Sulu received civilization in its Indic form from the Orang Dampuan. During the reign of Sipad the Younger, a mystic named Tuan Mashā′ikha[note 3] arrived in Jolo in 1280 AD. [note 4] Little is known to the origins and early biography of Tuan Mashā′ikha, except that he is a Muslim "who came from foreign lands" at the head of a fleet of Muslim traders, or he was issued from a stalk of bamboo and was considered a prophet, thus well respected by the people. Other reports, however, insisted that Tuan Mashā′ikha together with his parents, Jamiyun Kulisa and Indra Suga, were sent to Sulu by Alexander the Great (who is known as Iskandar Zulkarnain in Malay Annals). However, Saleeby dismisses this claim by concluding that Jamiyun Kulisa and Indra Suga were mythical names. According to tarsila, during the coming of Tuan Mashā′ikha, the people of Maimbung worshipped tombs and stones of any kind. After he preached Islam in the area, he married Sipad the Younger's daughter, Idda Indira Suga and bore three children: Tuan Hakim, Tuan Pam and 'Aisha. Tuan Hakim, in turn, begot five children. From the genealogy of Tuan Mashā′ikha, another titular system of aristocracy called "tuanship" started in Sulu. Apart from the Idda Indira Suga, Tuan Mashā′ikha also married into another "unidentified woman" and begot Moumin. Tuan Mashā′ikha died in 710 A.H. (equivalent to 1310 AD), and was buried in Bud Dato near Jolo, with an inscription of Tuan Maqbālū. A descendant of Tuan Mashā′ikha named Tuan May also begot a son named Datu Tka. The descendants of Tuan May did not assume the title tuan, instead, they started to use datu. It is the first time datu was used as a political institution. During the coming of Tuan Mashā′ikha, the Tagimaha people (literally means "the party of the people") coming from Basilan and several places in Mindanao, also arrived and settled in Buansa. After the Tagimaha came the Baklaya people (which means "seashore dwellers"), believed to be originated from Sulawesi, and settled in Patikul. After these came the Bajau people (or Samal) from Johor. The Bajau were accidentally driven towards Sulu by a heavy monsoon, some of them to the shores of Brunei and others to Mindanao. The population of Buranun, Tagimaha, and Baklaya in Sulu created three parties with distinct system of government and subjects. According to the Nagarakretagama, the Majapahit Empire under Emperor Hayam Wuruk, invaded Sulu at year 1365. However, in 1369, the Sulus rebelled and regained independence and in vengeance, assaulted the Majapahit Empire and its province Po-ni (Brunei), looting it of treasure and gold. A fleet from the Majapahit capital succeeded in driving away the Sulus, but Po-ni was left weaker after the attack. By 1390 AD, Rajah Baguinda Ali, a prince of the Pagaruyung Kingdom arrived at Sulu and married into the local nobility. At least in 1417, according to Chinese annals, three kings (or monarchs) ruled three civilised kingdoms in the island. Patuka Pahala (Paduka Batara) ruled the eastern kingdom, he was the most powerful; the west kingdom was ruled by Mahalachi (Maharajah Kamal ud-Din); and the kingdom near the cave (or Cave King) was Paduka Patulapok. The Bajau settlers were distributed among the three kingdoms. Moumin's descendants, the son of Tuan Mashā′ikha populated Sulu. After some time, a certain Timway Orangkaya Su'il was mentioned by the second page of tarsila, that he received four Bisaya slaves (People from the Kedatuan of Madja-as) from Manila (presumably Kingdom of Maynila) as a sign of friendship between the two countries. The descendants of Timway Orangkaya Su'il then inherited the title timway, which means "chief". On tarsila's third page, it accounts the fact that the slaves were the ancestors of the inhabitants in the island to Parang, Lati, Gi'tung, and Lu'uk respectively. The fourth page then narrates the coming of the Buranun (addressed in the tarsila as "the Maimbung people") Tagimaha, Baklaya, then the drifted Bajau immigrants from Johor. The condition of Sulu before the arrival of Islam can be summarised as such: The island was inhabited by several cultures, and was reigned over by three independent kingdoms ruled by the Buranun, Tagimaha, and Baklaya peoples. Likewise, the socio-political systems of these kingdoms were characterised by several distinct institutions: rajahship, datuship, tuanship and timwayship. The arrival of Tuan Mashā′ikha afterwards established a core Islamic community in the island. At the end of the 14th century, a notable Arab judge and religious scholar named Karim ul-Makhdum[note 5] from Mecca arrived in the Malacca Sultanate. He preached Islam to the people, and thus many citizens, including the ruler of Malacca, converted to Islam. Chinese Muslims, Arabs, Persians, Malays, and Indian Muslims introduced Sulu and other Muslim sultanates to Islam. Chinese Muslim merchants participated in the local commerce, and the Sultanate had diplomatic relations with China during the time of the Ming Dynasty (1368–1644), being involved in the tribute system. The Sulu leader Paduka Pahala and his sons moved to China, where he died, and Chinese Muslims brought up his sons in Dezhou, where their descendants live and have the surnames An and Wen. In 1380 AD,[note 6] Karim ul-Makhdum arrived in Simunul island from Malacca, again with Arab traders. Apart from being a scholar, he operated as a trader, some see him as a Sufi missionary originating from Mecca. He preached Islam in the area, and was thus accepted by the core Muslim community. He was the second person who preached Islam in the area, following Tuan Mashā′ikha. To facilitate easy conversion of nonbelievers, he established a mosque in Tubig-Indagan, Simunul, which became the first Islamic temple to be constructed in the area, as well as the first in the Philippines. This later became known as Sheik Karimal Makdum Mosque. He died in Sulu, though the exact location of his grave is unknown. In Buansa, he was known as Tuan Sharif Awliyā. On his alleged grave in Bud Agad, Jolo, an inscription was written as "Mohadum Aminullah Al-Nikad". In Lugus, he is referred to Abdurrahman. In Sibutu, he is known to as his name. The different of beliefs on his grave locations came about due to the fact that Karim ul-Makhdum travelled to several islands in Sulu Sea to preach Islam. In many places in the archipelago, he was beloved. It is said that the people of Tapul built a mosque honouring him and that they claim descent from Karim ul-Makhdum. Thus, the success of Karim ul-Makhdum of spreading Islam in Sulu threw a new light in Islamic history in the Philippines. The customs, beliefs and political laws of the people changed and customised to adopt the Islamic tradition. The Sultanate of Sulu became notorious for its so-called "Moro Raids" or acts of piracy directed towards Spanish Settlements in the Visayan areas with the aim of capturing slaves and other goods from these coastal towns. The Tausug pirates used boats known collectively by Europeans as "proas" (predominantly the lanong and garay warships) which varied in design and were much lighter than the Spanish Galleons and could easily out-sail these ships, they often carried large swivel guns or Lantaka and also carried a crew of pirates from different ethnic groups throughout Sulu such as Iranums, Bajaus and Tausugs alike. By the 18th century, the Sulu pirates had become the virtual masters of the Sulu seas and the surrounding areas, wreaking havoc on Spanish settlements. This prompted the Spaniards to build a number of fortifications across the Visayan islands of Cebu and Bohol, Churches were built on higher ground and watchtowers were built along coastlines to warn of impending raids. The maritime supremacy of Sulu wasn't directly controlled by the Sultan, independent Datus and warlords waged their own wars against the Spaniards and even with the Capture of Jolo on numerous occasions by the Spaniards, other settlements like Maimbung, Banguingui and Tawi-Tawi were used as assembly areas and hideouts for pirates. The Sultanate's control over the Sulu seas was at its height around the late 17th to early 18th centuries were Moro raids became very common for the Visayans and Spaniards. In Sulu and in the Mindanao interior, the slave trade flourished and majority of these slaves that were being imported and exported were of Bisaya ethnicity, the term "Bisaya" eventually became synonymous to "slave" in these areas. Its maritime supremacy over the Spaniards, at the time, the Spaniards acquired Steam-powered ships that began to curb Muslim piracy in the region, the Moro piratical raids began to decrease in number until Governor Narciso Clavería launched the Balanguingui expedition to crush the pirate settlements there, effectively ending the moro pirate raids. By the last quarter of the 19th century, Moro pirates had virtually disappeared and the maritime influence of the Sultanate became dependent on the Chinese Junk trade. (Left) The first concession treaty was signed by Sultan Abdul Momin of Brunei on 29 December 1877, appointing Baron de Overbeck as the Maharaja Sabah, Rajah Gaya and Sandakan. (Right) The second concession treaty was signed by Sultan Jamal ul-Azam of Sulu on 22 January 1878 also appointing Baron de Overbeck as Dato Bendahara and Raja Sandakan, approximately three weeks after signature of the first treaty. In the 18th century, Sulu's dominion covered most of northeastern part of Borneo. 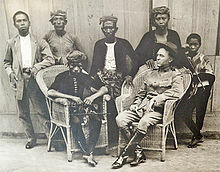 However areas like Tempasuk and Abai had never really shown much allegiance to its earlier ruler, Brunei, subsequently similar treatment was given to Sulu. Dalrymple who made a treaty of allegiance in 1761 with Sulu, had to make a similar agreement with the rulers of Tempasuk and Abai on the north Borneo coast in 1762. Sultanate of Sulu totally gave up its rule over Palawan to Spain in 1705 and Basilan to Spain in 1762. The territory ceded to Sulu by Brunei initially stretched south to Tapean Durian (now Tanjong Mangkalihat) (another source mentioned the southern most boundary is at Dumaring), near the Straits of Macassar (now Kalimantan). However, by 1800–1850, these area had been effectively controlled by the Sultanate of Bulungan in Kalimantan, reducing the boundary of Sulu to a cape named Batu Tinagat and Tawau River. In 1848 and 1851, the Spanish launched attacks on Balanguingui and Jolo respectively. A peace treaty was signed on 30 April 1851 in which the sultan could only regain its capital if Sulu and its dependencies became a part of the Philippine Islands under the sovereignty of Spain. 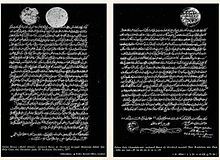 There were different understandings of this treaty, in which although the Spanish interpreted it as the Sultan accepted Spanish sovereignty over Sulu and Tawi-Tawi, however the Sultan took it as a friendly treaty amongst equals. These areas were only partially controlled by the Spanish and their power was limited to only military stations and garrisons and pockets of civilian settlements. This lasted until they had to abandon the region as a consequence of their defeat in the Spanish–American War. On 22 January 1878, an agreement was signed between the Sultanate of Sulu and British commercial syndicate (Alfred Dent and Baron de Overbeck), which stipulated that North Borneo was either ceded or leased (depending on translation used) to the British syndicate in return for payment of 5,000 Malayan Dollar per year. on the north-west coast and extending along the whole east coast as far as the Sibuco River in the south and comprising amongst other the States of Paitan, Sugut, Bangaya, Labuk, Sandakan, Kina Batangan, Mumiang, and all the other territories and states to the southward thereof bordering on Darvel Bay and as far as the Sibuco river with all the islands within three marine leagues of the coast. On 22 April 1903, Sultan Jamalul Kiram signed a document known as "Confirmation of cession of certain islands", in which he granted and ceded additional islands in the neighbourhood of the mainland of North Borneo from Banggi Island to Sibuku Bay to British North Borneo Company. The sum 5,000 dollars a year payable every year increased to 5,300 dollars a year payable every year. The Sulu Sultanate later came under the control of Spain in Manila. In 1885, Great Britain, Germany and Spain signed the Madrid Protocol to cement Spanish influence over the islands of the Philippines. In the same agreement, Spain relinquished all claim to North Borneo which had belonged to the Sultanate in the past to the British Government. The Spanish Government renounces, as far as regards the British Government, all claims of sovereignty over the territories of the continent of Borneo, which belong, or which have belonged in the past to the Sultan of Sulu (Jolo), and which comprise the neighbouring islands of Balambangan, Banguey, and Malawali, as well as all those comprised within a zone of three maritime leagues from the coast, and which form part of the territories administered by the Company styled the "British North Borneo Company". 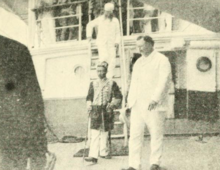 The Sultanate's political power was relinquished in March 1915 after American commanders negotiated with Sultan Jamalul Kiram on behalf of then-Governor-General Francis Burton Harrison. An agreement was subsequently signed and was called as the "Carpenter Agreement". By this agreement, the Sultan relinquished all political power over territory within the Philippines (except for certain specific land granted to Sultan Jamalul Kiram and his heirs), with the religious authority as head of Islam in Sulu. However, the United States based government refused to intervene in the North Borneo dispute (see below), officially maintaining a neutral stance on the matter and continuing to recognise Sabah as part of Malaysia. On 24 May 1974 Mohammad Mahakuttah Kiram, under Memo Order 427, which was issued by Philippines President Ferdinand Marcos. Memo Order 427 states that "The Government has always recognised the Sultanate of Sulu as the legitimate claimant to the historical territories of the Republic of Philippines". The province of Sulu hosted the Daru Jambangan (Palace of Flowers) which was the royal palace of the Sultan of Sulu since historical times. The palace, located in Maimbung was made of wood, and was destroyed in 1932 by a huge storm. Today, a few arches and posts remain from the once grand palace complex. Many members of the royal family advocated for the reconstruction of the palace, and even its enlargement, however, the government of the Philippines has yet to establish a position or a fund for the matter. The dispute is based on a territorial claim by the Philippines since the era of President Diosdado Macapagal over much of the eastern part of Sabah in Malaysia. Sabah was known as North Borneo prior to the formation of the Malaysian federation in 1963. The Philippines, via the heritage of the Sultanate of Sulu, claim Sabah on the basis that Sabah was only leased to the British North Borneo Company with the sultanate's sovereignty never being relinquished. The dispute stems from the difference in the interpretation used on an agreement signed between Sultanate of Sulu and the British commercial syndicate (Alfred Dent and Baron von Overbeck) in 1878, which stipulated that North Borneo was either ceded or leased (depending on translation used) to the British chartered company in return for payment of 5,000 dollars per year. Malaysia views the dispute as a "non-issue", as it not only considers the agreement in 1878 as one of cession, but it also deems that the residents had exercised their act of self-determination when they joined to form the Malaysian federation in 1963. As reported by the Secretary-General of the United Nations, the independence of North Borneo was brought about as the result of the expressed wish of the majority of the people of the territory as supported by the findings of the Cobbold Commission. 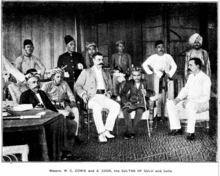 Moreover, a later 1903 agreement between Sultan of Sulu and the British government, has provided reaffirmation regarding the understanding of the Sultan of Sulu on the treaty in 1878, i.e. it is of the form of a cession. However, it is acknowledged that the British never paid such compensation to the Sultanate of Sulu but during a meeting of Maphilindo between the Philippine, Malayan and Indonesian governments in 1963, the Philippine government said the Sultan of Sulu wanted the payment of 5,000 from the Malaysian government. The first Malaysian Prime Minister at the time, Tunku Abdul Rahman said he would go back to Kuala Lumpur and get on the request. Since then, the Malaysian Embassy in the Philippines issues a cheque in the amount of RM5,300 (approx. ₱77,000 or US$1,710) to the legal counsel of the heirs of the Sultan of Sulu. Malaysia considers the settlement an annual "cession payment" for the disputed state, while the sultan's descendants consider it "rent". Republic Act 5446 in the Philippines, which took effect on 18 September 1968, regards Sabah as a territory "over which the Republic of the Philippines has acquired dominion and sovereignty". On 16 July 2011, the Supreme Court ruled that the Philippine claim over Sabah is retained and may be pursued in the future. To date, Malaysia maintains that the Sabah claim is a non-issue and non-negotiable, thereby rejecting any calls from the Philippines to resolve the matter in ICJ. Sabah authorities sees the claim made by the Philippines' Moro leader Nur Misuari to take Sabah to International Court of Justice (ICJ) as a non-issue and thus dismissed the claim. Territory in the 1878 agreement - From the Pandassan River on the north west coast to the Sibuco River in the south. In 2016, for the first time in history, the five contesting sultans of Sulu, Sultan Muedzul-Lail Tan Kiram, Sultan Ibrahim Bahjin, Sultan Muizuddin Jainal Bahjin, Sultan Mohammad Venizar Julkarnain Jainal Abirin, and Sultan Phugdalun Kiram signed a covenant in an unprecedented move aimed at consolidating and strengthening the sultanate's unity. The ceremony was held in Zamboanga City and was attended by hundreds of supporters and members of the different Royal Houses of the Sultanate of Sulu, and religious leaders and representatives of various sectors, including those from mainland Mindanao. In May 9, 2018, all five sultans of the sultanate and their supporters converged again in Zamboanga City in support of the establishment of the Zambasulta Federal State through a federal form of Philippine government. The event was officially declared as the Bangsa Sug Consensus. Chinese who lived in Sulu ran guns across a Spanish blockade to supply the Moro Datus and Sultanates with weapons to fight the Spanish, who were engaging in a campaign to subjugate the Moro sultanates on Mindanao. A trade involving the Moros selling slaves and other goods in exchange for guns developed. The Chinese had entered the economy of the sultanate, taking almost total control of the Sultanate's economies in Mindanao and dominating the markets. Though the Sultans did not like one group of people exercising exclusive control over the economy, they did business with them. The Chinese set up a trading network between Singapore, Zamboanga, Jolo and Sulu. The Chinese sold small arms like Enfield and Spencer Rifles to the Buayan Datu Uto. They were used to battle the Spanish invasion of Buayan. The Datu paid for the weapons in slaves. The population of Chinese in Mindanao in the 1880s was 1,000. The Chinese ran guns across a Spanish blockade to sell to Mindanao Moros. The purchases of these weapons were paid for by the Moros in slaves in addition to other goods. The main group of people selling guns were the Chinese in Sulu. The Chinese took control of the economy and used steamers to ship goods for exporting and importing. Opium, ivory, textiles, and crockery were among the other goods which the Chinese sold. 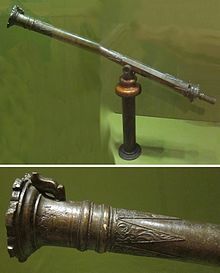 The Chinese on Maimbung sent the weapons to the Sulu Sultanate, who used them to battle the Spanish and resist their attacks. A Chinese-Mestizo was one of the Sultan's brothers-in-law, the Sultan was married to his sister. He and the Sultan both owned shares in the ship (named the Far East) which helped smuggle the weapons. The Spanish launched a surprise offensive under Colonel Juan Arolas in April 1887 by attacking the Sultanate's capital at Maimbung in an effort to crush resistance. Weapons were captured and the property of the Chinese were destroyed while the Chinese were deported to Jolo. A painting from 1880s depicting Sultan Jamal ul-Azam having a conversation with the French visitors. After the destruction of the pirate haunts of Balanguingui effectively ending the centuries of slave raids, which the Sulu Sultanate's economy had so depended on, along with the economy of mainland Mindanao, the Sultanate's economy experienced a sharp decline as slaves became more inaccessible and the islands' agricultural produce wasn't enough, thus it became dependent on the Mindanao interior even for rice and produce. The Spaniards thought they had dealt the death blow for the sultanate when they captured Jolo in 1876, rather, the sultanate's capital and economic and trading hub was moved to Maimbung on the other side of the island. Up until the American occupation, this was the residence and economic centre of Sulu. This is where the Sultan Jamalul Kiram II and his adviser Hadji Butu began the Sulu pearling industry to increase the Sultan's wealth, they organised the Sulu pearling fleet. The sultan's pearling fleet was active way into the early 20th century, when in 1910, the Sultan reportedly sold a single giant pearl in London for $100,000. Among the people of Sultanate of Sulu, the title of nobility could be acquired only by lineage, a "closed system" whereby the titled persons inherit their offices of powers and prestige. Datu (su-sultanun), which is acquired purely by lineage to the sultanate. Whereas, all male members of the Royal House of Sulu should hold this hereditary title and should hold the style: His Royal Highness (HRH). Their spouse would automatically hold the title of Dayang Dayang (princess of the first degree) Adopted members of the Royal House of Sulu hold the style of His Highness (HH) Whereas, their spouse would also hold the title of Dayang Dayang (princess of the first degree) and should hold the style: Her Highness according to traditional customs of Sulu. Datu Sadja, which may be acquired through confirming the titles (gullal) on the middleman of the Sultan. The gullal is made if a commoner has achieved outstanding feats or services in line of duty through display of bravery, heroism, etc. Datu Sadja is life title of nobility and the title holders should hold the style: His Excellency. Whereas their spouses should hold the title of Dayang and should hold the style: Her Excellency. The commoners or Maharlika are those who do not trace their descent from royalty. The Wakil Kesultan's, Panglimas, Parkasa's and Laksaman's who are commoners hold responsible positions involving administrative matters. The males who hold offices above shall be addressed by the title of nobility Tuan (the title is directly attached to the office), followed by the rank of the office they hold, their given name, surname and region. The females who hold offices above shall be addressed by the title of nobility Sitti (the title is directly attached to the office), followed by the rank of the office they hold, their given name, surname and region. The Sultanate of Sulu, along with the rest of Mindanao has a long tradition of decorative arts known as Okir or Ukkil. Ukkil being the Tausug word for "wood carving" or engraving, the Tausugs and Maranaos people have been carving and decorating their boats, houses and even grave markers with these Ukkil carvings. Aside from Wood carving, Ukkil motifs have been found on various clothing in the Sulu archipelago, Ukkil motifs tend to emphasise geometric patterns and a flowing design, with floral and leaf patterns as well as folk elements. The Tausugs also decorated their weapons with these motifs, various Kris and Barong blades have finely decorated handles as well as blades covered in floral patterns and the like. Bronze Lantaka also bear some Ukkil patterns. After the death of Sultan Mahakuttah A. Kiram, the Philippine national government failed to formally recognise a new Sultan. Mahakutta's Crown Prince Muedzul Lail Kiram, the heir to the throne according to the line of succession as recognised by the Philippine governments from 1915 to 1986, was 20 years old upon his father's death. Due to his young age, he failed to claim the throne in a time of political instability in the Philippines that led to the peaceful revolution and subsequent removal of President Marcos. The gap in the Sultanate leadership was filled by crown claimants of rival branches. Therefore, the following Sultans were not crowned with the support of the Philippine government nor received a formal recognition from the national government as their predecessors had until 1986. However, the Philippine national government decided to deal with one or more of these so-called Sultan claimants regarding issues concerning the Sultanates affairs. Muedzul Lail Tan Kiram claims that he is the legitimate successor as the 35th Sultan of Sulu based on the Memorandum Order 427 of 1974, in which former Philippine President Ferdinand Marcos recognised his father, Sultan Mahakuttah A. Kiram, as the Sultan of Sulu. Under Rodrigo Duterte's administration, calls to finally settle the dispute of who is the officially recognized Sultan of Sulu via government recognition through an Executive Order was voiced out by various parties[who?] involved with the issue. The calls have yet to be dealt with by the government since 2017,[according to whom?] along with a 2016 electoral promise to retake Eastern Sabah. A flag coloured yellow was used in Sulu by the Chinese. Flag of Sulu Sultanate according to Pierre Sonnerat. Merchant flag of the Chinese community in the Sulu Sultanate. War flag of the Sulu Sultanate at the end of the 19th century. Modern flag under the claimant Sultan Muedzul Lail Tan Kiram. ^ According to WH Scott, even though the sultanate was ruled by Tausūg people, the subjects of the kingdom were a mix of Butuanon, Samal and Malays. ^ The generally accepted date of the establishment of the sultanate by modern historians is 1457. However, the National Historical Commission of the Philippines list the date as "around 1450", or simply "1450s", due to uncertainty. On the other hand, independent Muslim studies marked the day to a more exact date 17 November 1405 (24th of Jumada al-awwal, 808 AH). ^ Mashā′ikha is an Arabic term which originated from mashā′ikh, which means "an intelligent or pious man". ^ The generally accepted date for the coming of Tuan Mashā′ikha is 1280 AD, however, other Muslim scholars dated his coming only by second half of the 13th century". ^ May be interchange to Karimul Makhdum, Karimal Makdum or Makhdum Karim among others. Makhdum came from the Arabic word makhdūmīn, which means "master". ^ Another uncertain date in Philippine Islamic history is the year of arrival of Karim ul-Makhdum. Though other Muslim scholars place the date as simply "the end of 14th century", Saleeby calculated the year as 1380 AD corresponding to the description of the tarsilas, in which Karim ul-Makhdum's coming is 10 years before Rajah Baguinda's. The 1380 reference originated from the event in Islamic history when a huge number of makhdūmīn started to travel to Southeast Asia from India. See Ibrahim's "Readings on Islam in Southeast Asia." ^ Saleeby (1870–1935), Najeeb Mitry. "The History of Sulu". www.gutenberg.org. ^ Scott 1994, p. 177. ^ P. N. Abinales; Donna J. Amoroso (1 January 2005). State and Society in the Philippines. Rowman & Littlefield. pp. 44–. ISBN 978-0-7425-1024-1. ^ Philippine Almanac & Handbook of Facts. 1977. ^ Usman, Edd (10 February 2010). "Heirs of Sulu Sultanate urged to attend general convention". Archived from the original on 14 June 2012. Retrieved 21 December 2010. ^ Cavendish 2007, p. 1178. ^ a b Ring, Trudy; Salkin, Robert M; La Boda, Sharon (January 1996). International Dictionary of Historic Places: Asia and Oceania. Taylor & Francis. pp. 160–. ISBN 978-1-884964-04-6. ^ Ben Cahoon. "Sabah". worldstatesmen.org. Retrieved 9 October 2014. Sultan of Brunei cedes the lands east of Marudu Bay to the Sultanate of Sulu. ^ Graham Saunders (5 November 2013). A History of Brunei. Routledge. pp. 84–. ISBN 978-1-136-87394-2. ^ Graham Kemp; Douglas P. Fry (2004). Keeping the Peace: Conflict Resolution and Peaceful Societies Around the World. Psychology Press. pp. 124–. ISBN 978-0-415-94761-9. ^ K. S. Nathan; Mohammad Hashim Kamali (January 2005). Islam in Southeast Asia: Political, Social and Strategic Challenges for the 21st Century. Institute of Southeast Asian Studies. pp. 52–. ISBN 978-981-230-282-3. ^ a b c "Why 'Sultan' is dreaming". Daily Express. 27 March 2013. Retrieved 27 March 2013. ^ a b "Memorandum: Carpenter Agreement". Government of the Philippines. 22 March 1915. Archived from the original on 17 October 2015. Retrieved 17 October 2015. ^ "Concurrent resolution expressing the sense of the Philippines that North Borneo belongs to the heirs of the Sultan of Sulu and to the ultimate sovereignty of the Republic of the Philippines, and authorizing the President to conduct negotiations for the restoration of such ownership and sovereign jurisdiction over said territory". Official Gazette. Government of the Philippines. 28 April 1950. Retrieved 2 October 2016. ^ Julkarnain, Datu Albi Ahmad (30 April 2008). "Genealogy of Sultan Sharif Ul-Hashim of Sulu Sultanate". Zambo Times. Archived from the original on 18 July 2011. Retrieved 21 December 2010. ^ Philippine History. Rex Bookstore, Inc. 2004. pp. 46–. ISBN 978-971-23-3934-9. ^ "Paduka Batara (d. 1417)" (PDF). National Historical Commission of the Philippines. Archived from the original (PDF) on 17 November 2011. Retrieved 21 December 2010. ^ P. N. Abinales; Donna J. Amoroso (1 January 2005). State and Society in the Philippines. Rowman & Littlefield. pp. 43–. ISBN 978-0-7425-1024-1. ^ Mawallil, Amilbahar; Dayang Babylyn Kano Omar (3 July 2009). "Simunul Island, Dubbed As 'Dubai of the Philippines', Pursues Ambitious Project". The Mindanao Examiner. Archived from the original on 14 July 2011. Retrieved 22 December 2010. ^ Francisco Mallari (March 1989). "Camarines Towns: Defenses Against Moro Pirates". Philippine Quarterly of Culture and Society. 17 (1): 41–66. JSTOR 29791965. ^ Domingo M. Non (4 March 1993). "Moro Piracy during the Spanish Period and Its Impact" (PDF). Kyoto University Repository. Retrieved 16 October 2015. ^ Rozan Yunos (21 September 2008). "How Brunei lost its northern province". The Brunei Times. Archived from the original on 23 May 2014. Retrieved 28 October 2013. ^ Rozan Yunos (7 March 2013). "Sabah and the Sulu claims". The Brunei Times. Archived from the original on 17 June 2014. Retrieved 20 September 2013. ^ Keat Gin Ooi (1 January 2004). Southeast Asia: A Historical Encyclopedia, from Angkor Wat to East Timor. ABC-CLIO. pp. 1163–. ISBN 978-1-57607-770-2. ^ International Court of Justice (2003). Summaries of Judgments, Advisory Opinions, and Orders of the International Court of Justice, 1997-2002. United Nations Publications. pp. 205–268. ISBN 978-92-1-133541-5. ^ British Government. "British North Borneo Treaties (British North Borneo, 1878)" (PDF). Sabah State Attorney-General's Chambers. Retrieved 6 September 2013. ^ "British North Borneo Treaties (Protocol of 1885)" (PDF). Sabah State Attorney-General's Chambers. Retrieved 6 September 2013. ^ Vic Hurley; Christopher L. Harris (1 October 2010). Swish of the Kris, the Story of the Moros, Authorized and Enhanced Edition. Cerberus Books. pp. 228–. ISBN 978-0-615-38242-5. ^ James R. Arnold (26 July 2011). The Moro War: How America Battled a Muslim Insurgency in the Philippine Jungle, 1902-1913. Bloomsbury Publishing. pp. 236–. ISBN 978-1-60819-365-3. ^ "Before his death, Kiram III tells family to continue fight to re-possess Sabah | Inquirer News". ^ "Sulu Sultan dies from kidney failure". 2015-09-20. ^ Whaley, Floyd (2015-09-21). "Esmail Kiram II, Self-Proclaimed Sultan of Sulu, Dies at 75". The New York Times. ^ "Sulu Sultan Jamalul Kiram III dies". ^ Beyer, Otley (22 March 1915). "Memorandum Agreement between the Governor-General of the Philippine Islands and the Sultan of Sulu". Official Gazette. The Government of the Philippines. ^ Michael Gary Hawkins (2008). Co-producing the Postcolonial: U.S.-Philippine Cinematic Relations, 1946--1986. ProQuest. pp. 350–. ISBN 978-0-549-89836-8. ^ a b "Memorandum Order No. 427, s. 1974". CDAsia. Government of the Philippines. 10 May 1974. Archived from the original on 2013-03-05. Retrieved 2 October 2016. ^ Ruben Sario; Julie S. Alipala; Ed General (17 September 2008). "Sulu sultan's 'heirs' drop Sabah claim". Philippine Daily Inquirer. Archived from the original on 3 July 2013. Retrieved 26 October 2010. ^ Aning, Jerome (23 April 2009). "Sabah legislature refuses to tackle RP claim". Philippine Daily Inquirer. Archived from the original on 3 July 2013. Retrieved 27 February 2013. ^ R. Haller-Trost (1 January 1998). The Contested Maritime and Territorial Boundaries of Malaysia: An International Law Perspective. Kluwer Law International. ISBN 978-90-411-9652-1. ^ "An Act to Amend Section One of Republic Act Numbered Thirty Hundred and forty-six, Entitled "An Act to Define the Baselines of the Territorial Sea of the Philippines"". Retrieved 17 February 2013. ^ "G.R No. 187167". Supreme Court of the Philippines. 16 July 2011. Retrieved 17 February 2013. ^ "Call for ICJ arbitration dismissed". The Star. 29 May 2008. Retrieved 24 February 2013. ^ British North Borneo company charter (page 4). OpenLibrary.org. 1878. Retrieved 16 March 2013. ^ a b "Federal State of 'ZamBaSulTa' pushed in Mindanao | Mindanao Examiner Regional Newspaper". ^ a b c James Francis Warren (2007). The Sulu Zone, 1768-1898: The Dynamics of External Trade, Slavery, and Ethnicity in the Transformation of a Southeast Asian Maritime State. NUS Press. pp. 129–. ISBN 978-9971-69-386-2. ^ Reynaldo Clemeña Ileto (2007). Magindanao, 1860-1888: The Career of Datu Utto of Buayan. Anvil Publishing, Inc. pp. 18–. ISBN 978-971-27-1585-3. ^ Bruno, Juanito A (1973). The Social World of the Tausug. p. 146. ^ Ligaya Fernando-Amilbangsa (2005). Ukkil: Visual Arts of the Sulu Archipelago. Ateneo University Press. pp. 1–. ISBN 978-971-550-480-5. ^ Fabunan, Sara Susanne D. "Sabah intrusion foiled". Manila Standard Today. Archived from the original on 2013-02-17. Retrieved 24 February 2013.